This essay is about two pictures that I received from my family who live near Inle Lake. 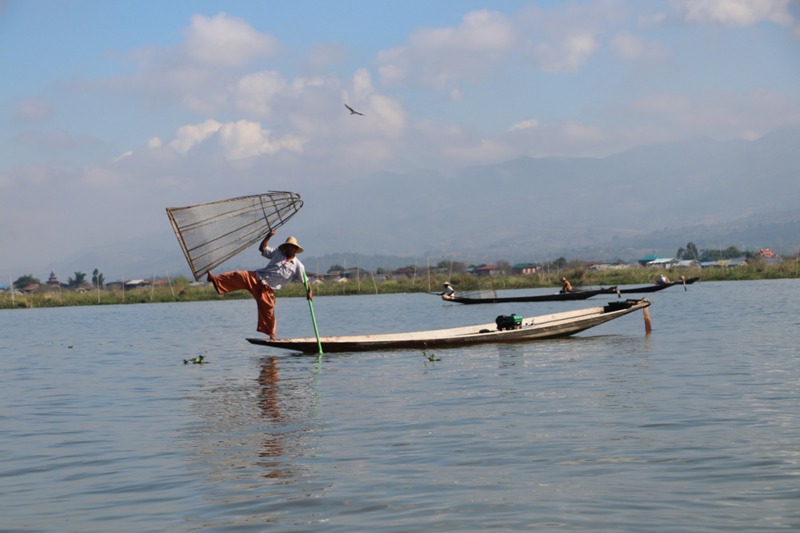 If you ever visit Myanmar/Burma, Inle Lake is an absolutely imperative place to experience. It is a large lake that is nearly 50 square miles, which has four cities located around the perimeter of it. The combined population of the cities is around 70,000. 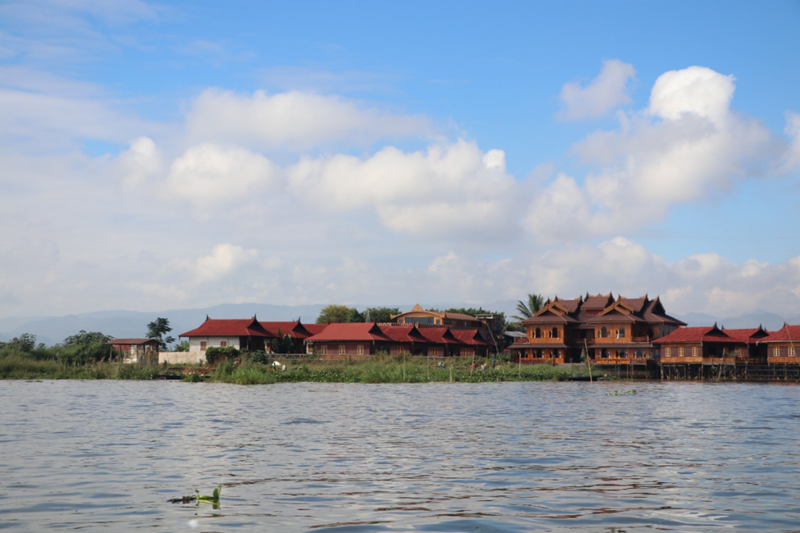 In addition, there are many small villages also located around Inle Lake and some villages built on stilts on the lake. I returned to Myanmar after visiting the country four years ago in the hope of interviewing Daw Aung San Suu Kyi, the Lady. However, I had a tour guide at Inle Lake by the name of Moh Moh. During my time with Moh Moh, she had to pick up of some papers at her home related to my next destination after I left Inle Lake. Her daughter, Ti Ti, who was 9 years old at the time, was home on short vacation from school. Moh Moh was just going to introduce us, pick up the papers, and we would continue seeing Inle Lake. However, Ti Ti asked me if I wanted to play Scrabble with her. We played for about an hour, and I left their home knowing that I met my granddaughter. It is hard for me to totally grasp the reason for our bonding, but she was my granddaughter. I went back to Myanmar a couple months ago during my winter break from teaching. I still was hoping to contact someone that would be a liaison for me with the Lady. However, I would have returned to see Ti Ti and her younger sisters who were in a day care preschool program even if I failed to contact Aung San Suu Kyi. When I got to Inle Lake on my second journey to Myanmar, I spent a week with my family. I have written essays about that visit being the best week of my entire life. Go to Search on the tool bar and type in Moh Moh, Ko Ko, Ti Ti, Snow, or Fatty. It would take you hours to read them all. I brought the family various gift, but I told the girls that I had met Bo Bo Gyi in Chicago and told him that I was returning to visit them. Bo Bo Gyi is a Buddhist nat or what we would call a saint. I said that he bought several gifts for the family and wanted me to take them to the family. My family gave me two pictures. One of them was a painting that used beads instead of paint. It is an amazing technique. 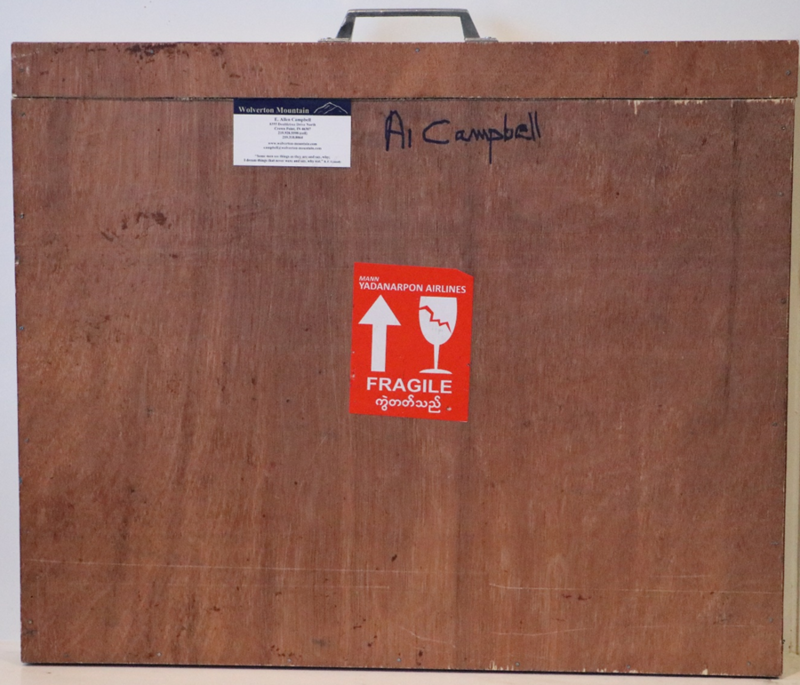 I worried about getting my gift back to Crown Point without having it ruined while in transit. However, Ko Ko made a shipping box for me that protected it. The other picture is of two loving notes to me…one from Ti Ti and the other from Moh Moh. Ti Ti is wishing me a Merry Christmas and expressing her love for me. The other was from Moh Moh who expressed our relationship as a family. Both are sweet and caring notes, which expressed their love and affection for me. It is difficult for me to express just how much they mean to me. I am fighting back tears as I write this essay. They are family. 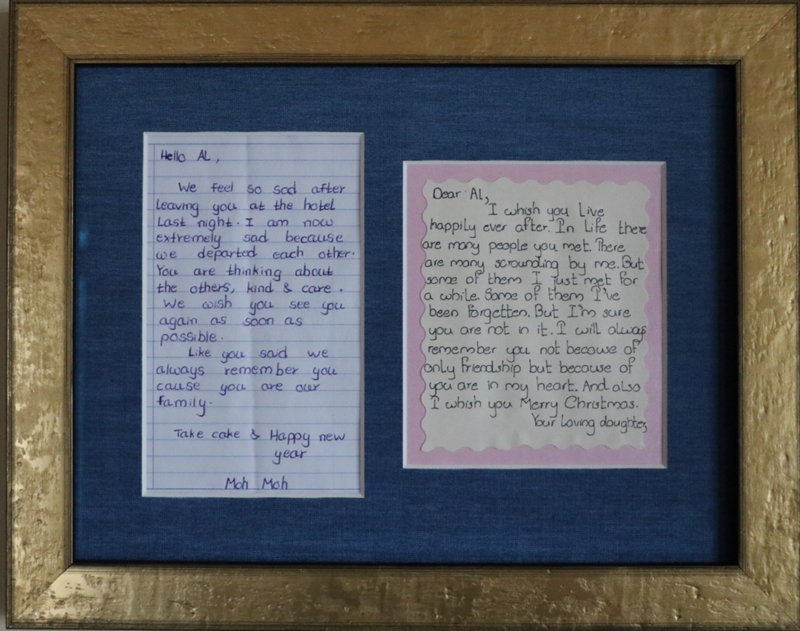 When I returned to the States, I had the notes framed. 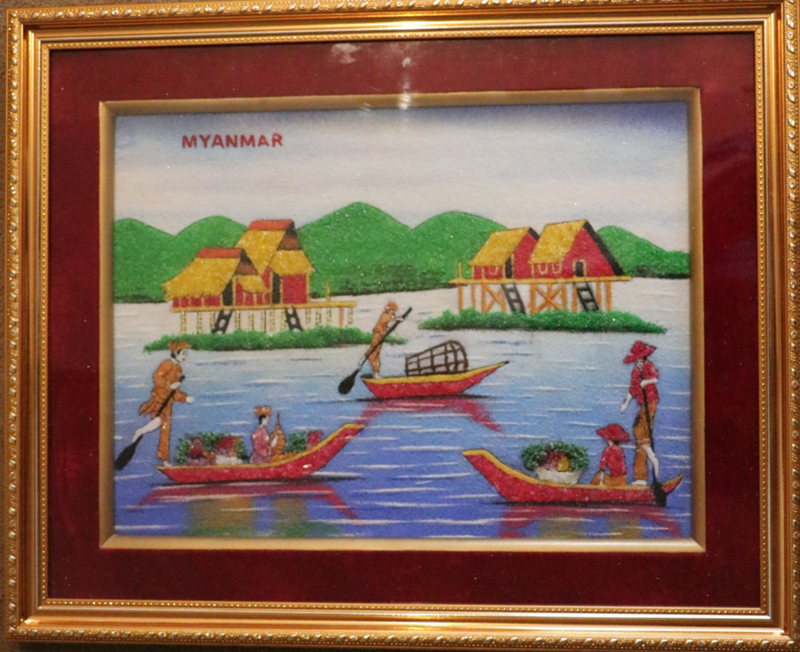 The Inle Lake picture and the picture with the two notes are my treasures. They are a very pleasant means of remembering my family who live near Inle Lake. The time spent with my family was the happiest week of my life. As my family and I said good-byes, amid all our tears, I promised them that I would return in a couple of years. I am already hoping to return in 2020. I assure you that that trip will become the best trip of my entire life replacing the former two best trips. Trust me.